← Dude, where’s Panic Button Monday’s car? Wordless Wednesday: who would do such a thing to this innocent Chicago pothole? Image | This entry was posted in Uncategorized and tagged Chicago pothole, Wordless Wednesday. Bookmark the permalink. 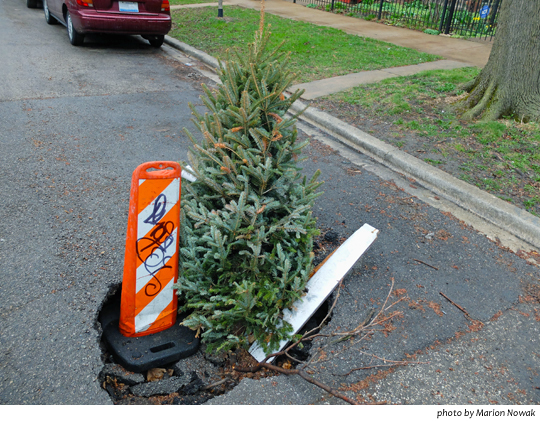 1 Response to Wordless Wednesday: who would do such a thing to this innocent Chicago pothole? Maybe it’s just me, but it just doesn’t feel like Christmas.